This algorithm allows the specification of the array and its excitation directly. Antenna Magus does not adjust the array layout at all to achieve specific electrical objectives. It is useful to use this to evaluate a custom array layout, using the array routines in Antenna Magus. 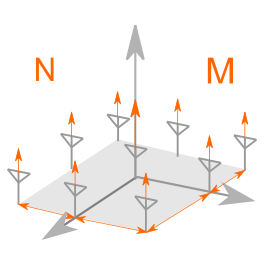 The elements of the array are arranged in the x-y plane, centered on the z-axis. 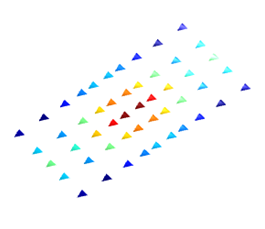 An example of a customized planar array distribution.